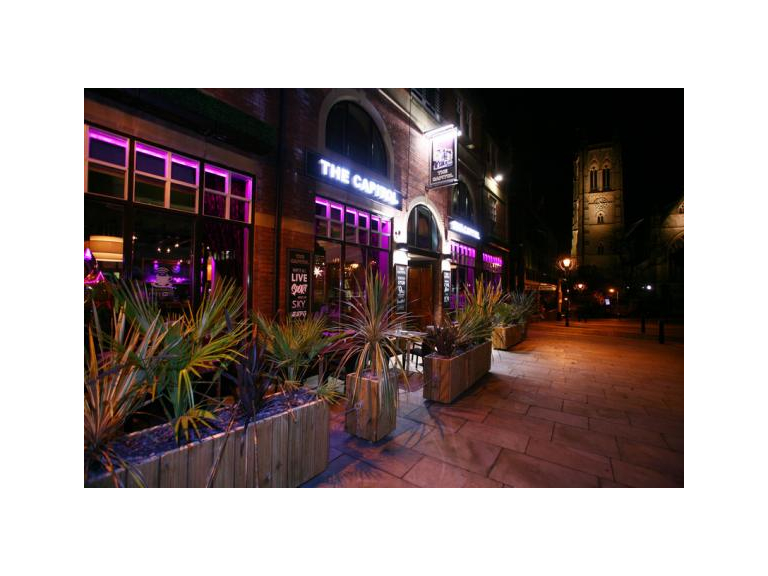 Located in the bustling heart of Bolton, The Capitol is a fresh day-to-night bar experience with high-end modern styling, beer, wine, fresh cocktails, cask ales and a friendly welcome. Quick and efficient service is at the heart of their hospitality, endeavoring to provide a unique personalised service to all our customers. And we were recently invited to try a sample of their latest venture, and incredible food menu rivalling some of the best gastro-pubs in Bolton. The first thing that will shock you is the sheer variety of the menu, offering everything from bar snacks to british classics, burgers and grills. There's even a section for the discerning diner with a collosal appetite. And, of course, the obligatory dessert section. Choosing something from this incredible range proved as difficult a task as any. My head hurt. 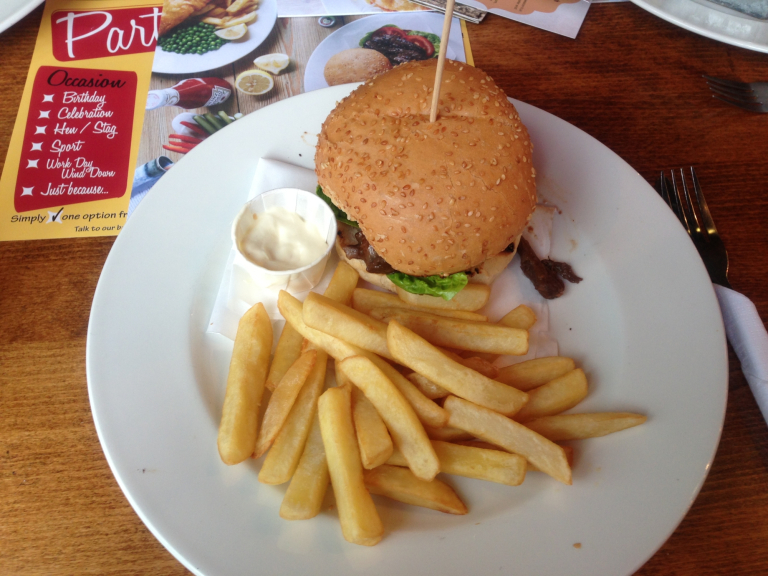 But, I eventually decided to go for the Pulled BBQ Beef Burger. This pretty much sums me up. I love burgers. I love BBQ. And I love America (from where the concept of pulled beef originated, I believe). And I was not disappointed when it arrived. It was certainly a different taste sensation, powerful, full of flavour, and cooked to perfection. I am somewhat of a fussy eater, but the principle with pulled beef is that it is slow cooked until so tender that the meat can be pulled apart by two forks. It was excellent. 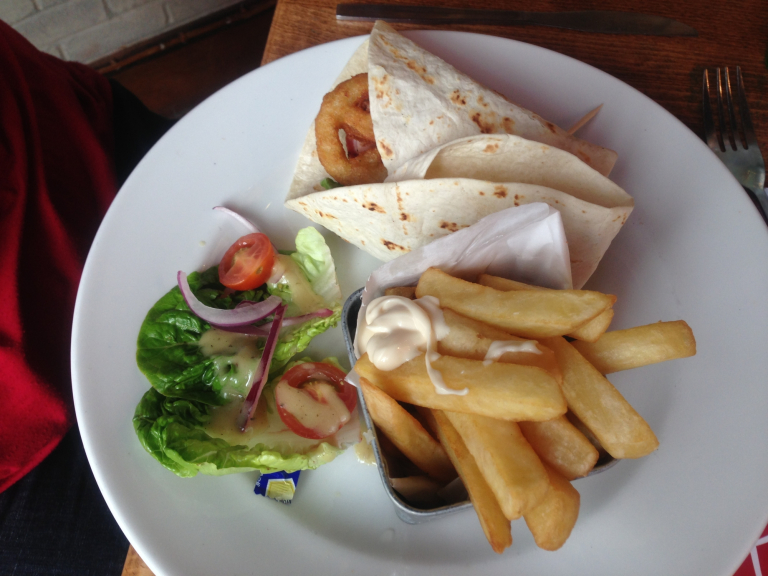 Gaynor chose to have Monster Chicken Wrap, which included southern fried chicken, bacon, onion rings, cheese, mayo and BBQ sauce all in a toasted wrap. 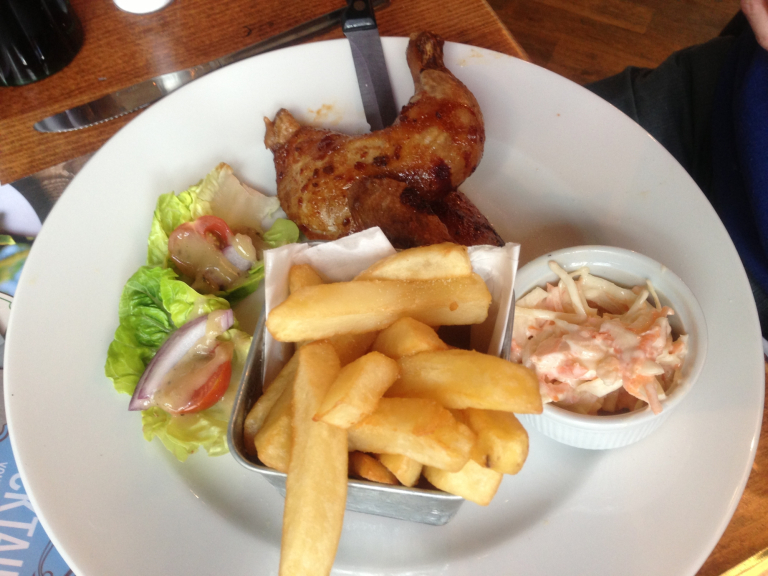 And David went for the Chipotle BBQ Roast Chicken. I'm not afraid to admit, despite being full, that I wanted what they had to. Just take a look at the pictures below, they say it all. And I am going to have to stop writing now, because they have made me extremely hungry and I am afraid I may get drool on the keyboard. So, to lunch it is.